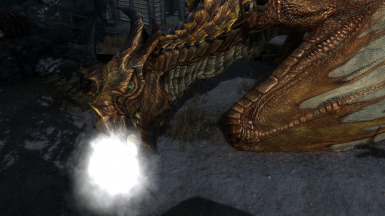 Bug fixed: fail the fire breath. Bug fixed: cannot use the marked for death. Stagger of tail rotate attack and stamp is more large. Tail rotate attack has visual effect. Bug fixed:remain and delay fx effect. Bug fixed:script error and animation bugs. Improved Dragon AI totally. according to level and circumstances, judge by fuzzy situations. Changed: wing swipe attack animations of vanilla, slower and more clarity. Removed: some animations e.g. roll in air. 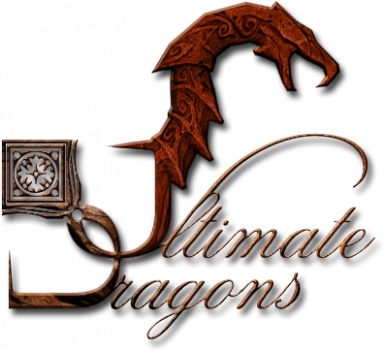 Gets up speed of some behavior when dragon is angry. Increased: time of Inhale fire breathing. Reduced: breath of tracking performance. Removed: tracking angle limit and movement stop. Changed: Health setting to maximum Health rate. Health is in the higher magnification increases setting, improve health is too much at low level. If set health to vanilla upper limit, force set health to under upper limit. Can be set physical attack and magical attack including breath in MCM. Improved dragon move when player is far. Can be adjusted frequency flying in MCM. Fixed bug Durnehviir doesn't move. Fixed bug again remains shout effect. Fixed bug player riding dragon cannot fly. Added a new bite animation. Reduced damage resist at low level. Additional AI scripts is to be operational in combat at the start even if a player does not target. Fixed a bug that remains shout effect. Dragon became hard to fly further. Dragon became hard to anger a little. Additional melee attack is faster. Improved height of the neck at the time of Swing Shout. 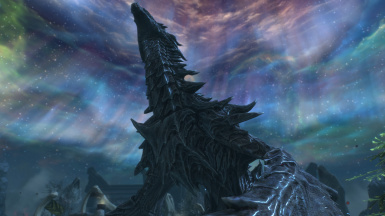 2014.06.26 Fixed bug: Dragon is state of bone is still alive. Increased health is changed current health * 3 into base health * 3. 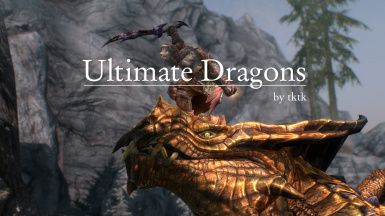 The mod overhauls dragons combat. This is not unreasonably strong. To improve the dragon special battles experience by adding a variety of actions. 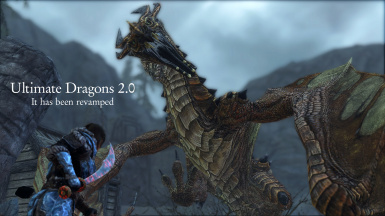 No need to create a new game and wait respawn dragons when this mod installs and upgrades. Ground blast：Explode at random in front of a target. Rock and steam come before it explode. Faas Ru Maar(Dismay)：Fleeing NPC be affected by shouting. Player has no fear effect, but player staggers a little. Fus Ro Dah：NPC is knocked down by shouting. The player is no knock down, but stagger a little. Iiz Slen Nus：Freezes the NPC. Marked for Death：Armor are weakened for a limited period of time. Range is narrower than the other shout. High levels of dragons can use it. Summon Spectral Dragon：Summon two small snake-like dragons. You can enjoy more if use those. Ultimate Combat: NPC combat overhaul mod was made with the same concept. TK Dodge: Adds dodge animation for player. TK Hitstop: Gives the feel when attack hits.